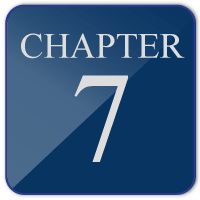 Chapter 7 Special – Three Payments of $425 including Attorney Fees and Court Costs. Case filed after first $425. Remaining $850 can be split up. EXPERIENCE: Troy and Julie Gleason have been bankruptcy lawyers for over 15 years. We know the bankruptcy system. We practice 100% bankruptcy law. Nothing else. Our Chapter 7 success rate is over 99.5%. We can put our experience to work for you. WE ARE REASONABLY PRICED: Our flat fee chapter 7 works with most budgets. This allows you to get protected quickly and stop the calls. For Chapter 13 cases we require a small down payment to get filed. The rest of the fees are put in the Chapter 13 payment plan. ATTORNEYS ANSWER PHONES: Your call will be answered by Attorney Julie Gleason, Attorney Troy Gleason or Attorney Meaghan Doyle. All 3 of us are Chicago bankruptcy lawyers. We have years and years of experience. Your call will not be answered by a clerk or paralegal. The NUMBER ONE complaint we hear from people about other lawyers is that they can never get in contact with an actual lawyer at their law firm. That will not happen if you hire Gleason and Gleason. 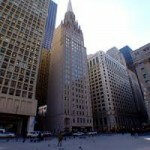 WE UNDERSTAND HOW THE CHICAGO BANKRUPTCY COURTS WORK: Our lawyers appear before all of the bankruptcy court judges and trustees on a very frequent basis. We have handled over 10,000 chapter 7 and chapter 13 bankruptcy cases. VIP SERVICE: We file your case as quickly as possible. We understand you are being harassed by creditors, being sued or garnished. It is our mission to stop this as soon as possible. We also understand how stressful your situation is and treat you in a friendly and professional way. Over 60% of our new clients were referred by a friend or family member who had a successful case with our Chicago Bankruptcy Attorneys. WE’RE LOCAL AND WE’RE HERE TO STAY: We have 3 convenient locations. We have offices in Downtown Chicago, Evergreen Park, and Bolingbrook. Our clients are always welcome to stop by during office hours to meet with us. Chapter 7 Bankruptcy is regular bankruptcy. Typical debts which are forgiven include credit cards, medical bills, utilities, unsecured judgments, repossession’s, personal loans, payday loans. Typical debts which are not forgiven include child support, tolls, village tickets, taxes less than 3 years old and student loans . 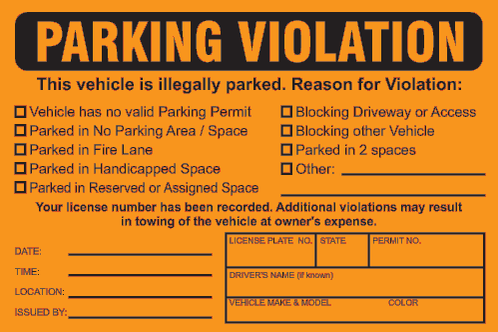 There are special rules for taxes older than 3 years old and City of Chicago tickets. People must continue making payments on secured debts they are keeping such as house and car. Tickets (Chicago Only) you owe are split into two groups. A Payment plan is offered based on the original amount of tickets in group 2. Once the payment plan is finished, the tickets older than 3 years old in group 1 and the late fees in group 2 are forgiven! Chapter 13 bankruptcy is a repayment plan supervised by the courts. 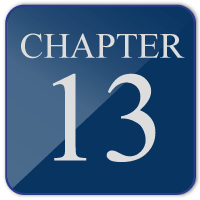 Our Chapter 13 Attorneys help people who want to pay off their debts over a period of three to five years. A Chapter 13 case can be filed if you are behind on your mortgage or car loan, and want to make up the missed payments over time and reinstate the original agreement. 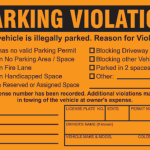 A Chicago Chapter 13 Attorney can help resolve Chicago Parking Tickets, Chicago Red Light Camera Tickets, Chicago Speed Camera Tickets and Illinois Tollway Violations. A Chapter 13 Bankruptcy can be filed for individuals who make too much to qualify for chapter 7 or are ineligible for chapter 7 because of a previous filing. Chicago Bankruptcy Lawyer – We are rated A+ by the Better Business Bureau. File Bankruptcy Petition with the United States Bankruptcy Court. Automatic Stay comes into effect. Post Filing Financial Management Course. 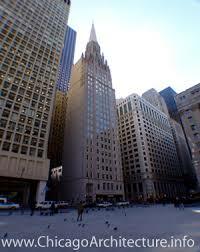 Attend Meeting of Creditors with your Chicago Bankruptcy Lawyer. What happens at a Consultation with Chicago Bankruptcy Attorney Gleason and Gleason? A chicago bankruptcy lawyer can help you eliminate many debts. After your debt is forgiven you can now apply for new loans and credit cards. We can’t predict what any particular lenders credit requirements but most of our clients beginning receiving offers for credit cards and vehicles shortly after filing a chapter 7 bankruptcy. While your bankruptcy filing will remain on your credit history report for 10 years, you can generally get credit again after filing. Many lenders will consider you for a home loan 2 years after filing. Increase your cash flow to meet your normal living expenses. Since you are not sending hundreds of dollars to wall street every month you have more money available for necessary things like housing, car payments, utilities, prescriptions, food and things for your children. As a result Bankruptcy Lawyer in Chicago, IL can help increase your cash flow. Stopping the harassment. When a Chicago Bankruptcy Lawyer files a chapter 7 bankruptcy or chapter 13 bankruptcy case they usually receive immediate protection from creditors through a special court order known as the bankruptcy automatic stay. This means creditors must stop collection efforts. Stop a repossession or foreclosure. If you are behind on payments your lender may try to take your car or foreclose on your home. If you cannot afford to catch up on the payments you are behind on, a Chapter 13 bankruptcy may be your best option to stop repossession or foreclosure. A Chicago Bankruptcy Lawyer can file a Chapter 13 bankruptcy. This will allow you to catch up on your car loan and give you three to five years to pay off your loan. If your car was repossessed and not yet sold, we can file a chapter 13 bankruptcy for you to get your car back. Filing a chapter 13 will stop a foreclosure as long as a sales has not taken place. After filing you make your current monthly mortgage payment and the arrears (the amount you are behind) can be spread out over 3 to 5 years. A Top Chicago Bankruptcy Lawyer may help with some drivers license issues. First of all, Chapter 7 Bankruptcy may be used to discharge property or vehicle damages if you were uninsured or your insurance did not pay. For tickets there are two options, Chapter 7 or Chapter 13. City of Chicago tickets and be restructured in a Chapter 7 under the Chicago Fresh Start Program. Chapter 13 Bankruptcy Covers Chicago Parking Tickets, Chicago Speed Camera Tickets, Illinois Tollway Violations and Chicago Red Light Camera Tickets. It also covers Village Parking Tickets, Village Speed Camera Tickets and Village Red Light Tickets. Once we file a Chapter 13 for you we fax the Illinois Secretary of State proof of filing. Then you can pay the reinstatement fee and get your license again ! Chapter 13 and Chapter 7 do not cover moving violations (When you get pulled over by an officer). A Chicago Bankruptcy Lawyer needs to review your income. We take a six month average of your income. To qualify for a Chicago Chapter 7 Bankruptcy case you have to pass the “Means Test”. If you are below the median income for the average Illinois household. If you are above the limit it goes to a long form means test to see if you qualify. To qualify for a Chicago Chapter 13 Bankruptcy case you must have enough income to support the minimum monthly amount to support your Chapter 13 Repayment Plan. Very knowledgeable of filing bankruptcy case. Work quickly and deligently on your case too. Mr. Gleason went above and beyond to help me and my husband feel educated about our options. Our case was handled with ease and I am so glad we chose Gleason and Gleason! Mr. Troy Gleason, is helpful, provides clarity and walks you through the process and what to expect, he's very patient as well. Especially for the delayed learner. The location on Western provides parking. He's also easliy reachable via phone once your a client. His team which works downtown and in bankruptcy court is polished and professional. I totally recommend Mr. Gleason. If you're looking for a good bankruptcy lawyer, they're the ones.